While shopping today, I learned that Walmart sells wine. I know nothing about wine. I have no place to store any wine bottles (because, I live in a van). I am also trying to reduce dish-washing since today, we have had NO hot water. Zip. Zilch. 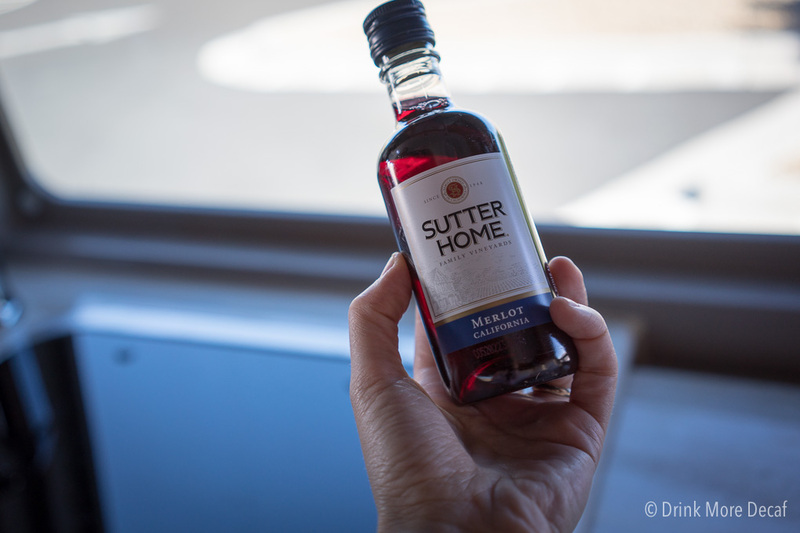 I may have possibly purchased a 4-pack of these itty bitty wine bottles. As single serving bottles, no dish-washing required. It’s hard to believe it’s been a month! It’s now been thirty days on our new diet and I think we’re now at the point where this is just how it is, and this is our new normal. Switching to a Whole Food Plant Based Diet for us was pretty darn easy. It was roughly two years ago when we stopped eating sugar and processed foods, and went to a Whole Food diet so this time the swap was relatively easy – at least after the first few days! Once we figured out how to combine food better to avoid blood sugar swings and stave off feelings of starvation it’s been pretty simple. 5 years ago I felt forced into giving up my Vegetarian identity. Really, at the time, it had been ten years for me as a Vegetarian, and it felt like a part of my soul was shattering. 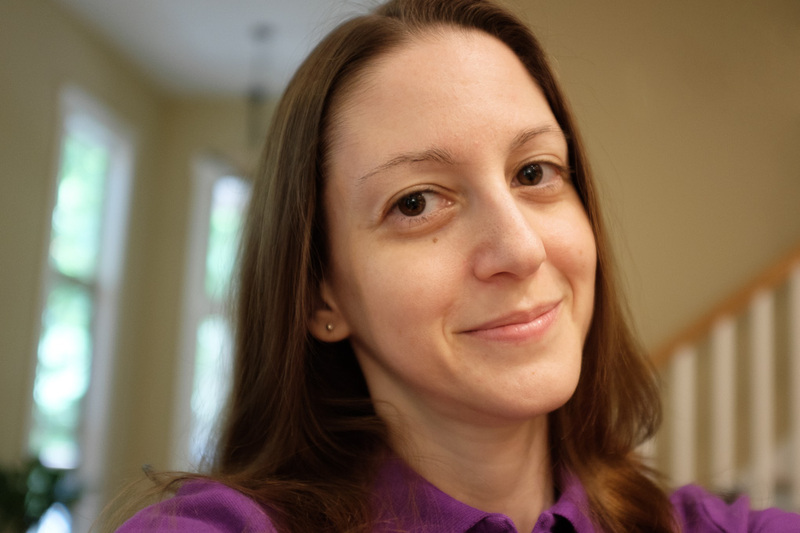 I didn’t agree with it, I just felt like I had to – and the story and reasons why are way too long to write here. Let’s just say that now 5 years later, if I knew then what I know now, I wouldn’t have had to do that. I’m now better equipped to deal with Gastroparesis as a Vegan, but I sure didn’t have the tools or resources back then. But, life is all about life-long learning and new experiences and I know more now, and I can’t let myself feel bad about what I thought I needed to do. That was then, this is now. At this point, our household is now Vegan-friendly, and I couldn’t be more thrilled. Our health will be better for it, and on top of everything, I can really and truly feel good about the food choices we are making. When researching diet and health, especially when learning about a Plant Based Diet, you can’t help but also learn more about conventional factory farming methods, and the materials that come from that world that end up on clothing racks (such as leather, wool, and other animal-sourced products). When I became a Vegetarian in my early twenties, I continued purchasing animal-sourced products because I wasn’t too fond of the alternatives at the time. I did often consider my purchases and weigh decisions more heavily if what I was purchasing had come from an animal. At this point in my life, that is too far of a mental disconnect for my mind to make, and there are so many alternatives to products I would previously have considered purchasing that it’s a very easy decision. Sometimes dinner is pretty darn good, and sometimes it’s “knocked it out of the park, hit a home run, 5-star meal good”. In other words, our dinner tonight was the best meal I’ve had in ages. 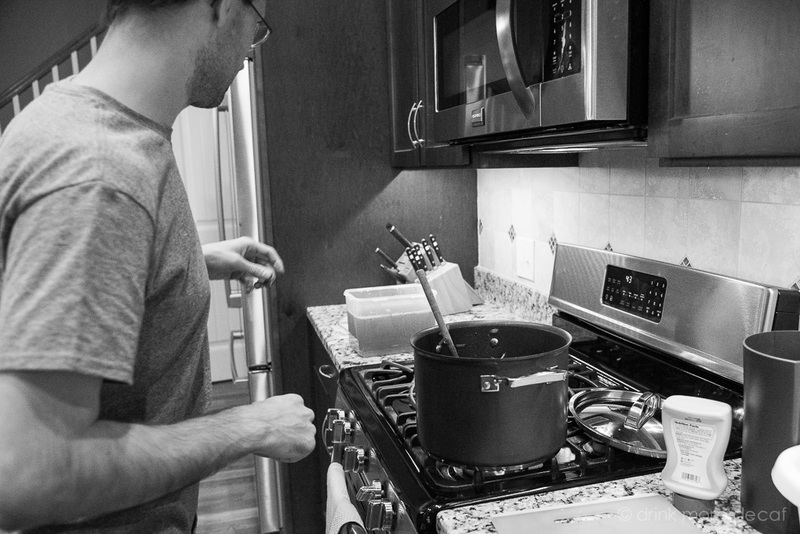 I’m not the cook in our house, but I’m usually around when the cooking is happening, so I can comment about meals and say if it was quick and easy, or, not-so-quick but definitely worth it. You know, I creatively interpret the chef’s grumbles into workable explanations. Tonight however, Dave made dinner while I napped on the couch. Yes, I admit to it. Frodo curled up with me and I fell asleep, and napped while Dave slaved away in the kitchen. I do know this recipe took quite awhile to make, but oh. My. It. Was. Amazing. 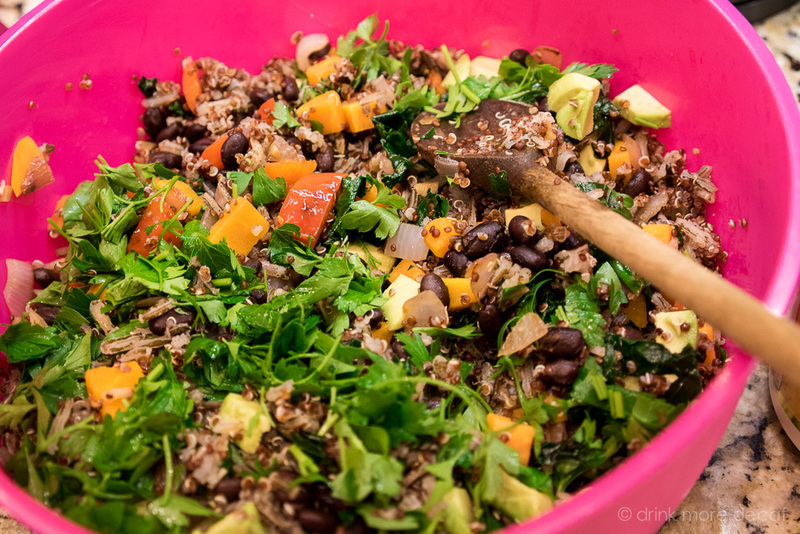 Pictured above is a Black Bean & Yam Salad That is to Die For. Only you won’t die, because it’s very good for you. 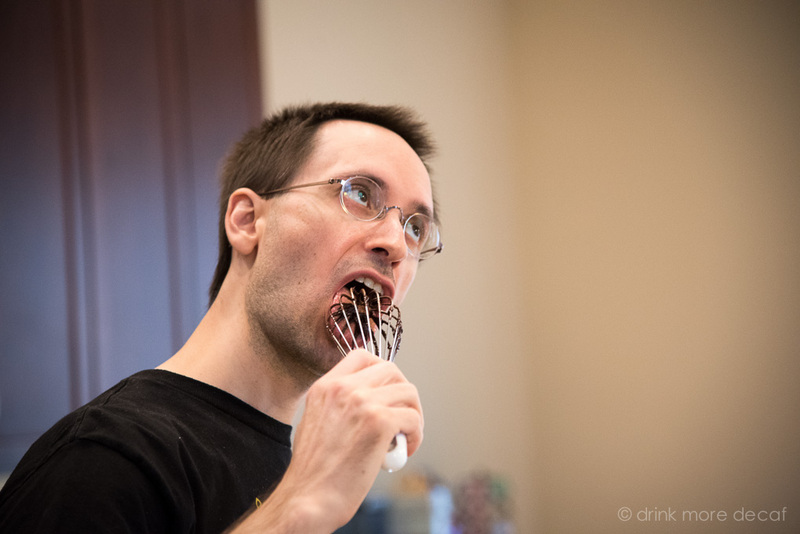 Dave followed the recipe from this site and only made minor adjustments to our taste. For example, he substituted the cilantro and used parsley instead. Also, he used half quinoa and half wild rice instead of all quinoa. Really pretty minor adjustments. The magical forces worked in my favor, and while I slept… Dave not only made dinner, he noted the adjustments he made to the recipe so we have them for the future (thank you Dave!). A miracle occurred here tonight! And, we have tons and tons and tons of left overs. Tons. We are going to eat well this week! If you’re a fan of Game of Thrones (the books or the show), you know the answer to this. A few days ago I was in the mood to watch a documentary… so we ended up watching Fed Up via Netflix. It was quite the eye opener. Due to a lot of dietary restrictions, we already avoid processed foods so this didn’t turn into an immediate call-to-action in our home, but it was still quite enlightening and I recommend the video to anyone who is interested in making healthy food choices. Last night I was in the mood for another documentary, and this time, we went with Forks Over Knives. Oh. My. Oh. No. What did I just unleash on my family? 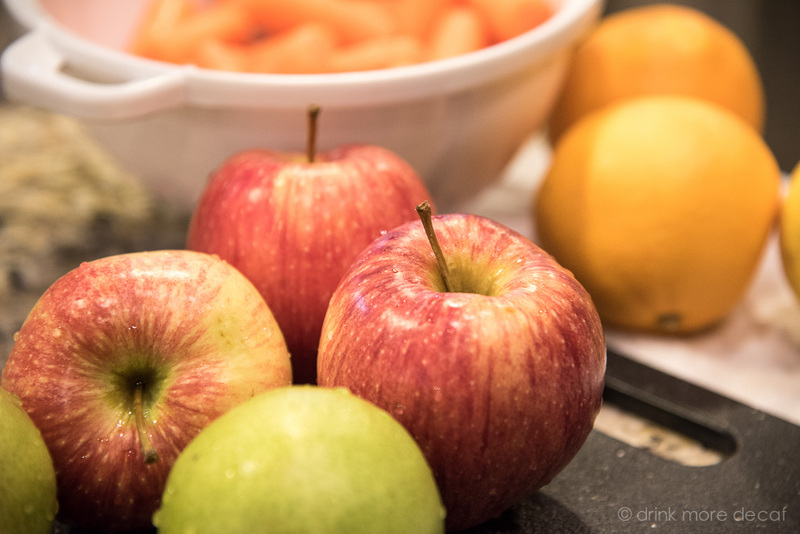 Knowledge is power, and the knowledge about healthy eating has been out (and heavily studied) for more than thirty years. The documentary is excellent, and was earth-shattering for us. Earth. Shattering. If you have Netflix, definitely give these two documentaries a go… they are very well worth watching. And if you do not have Netflix, here is a related video freely available to watch on YouTube: Uprooting the Leading Causes of Death – presented by Michael Greger, MD. This presentation is an hour long, but it is a must-watch. If nothing else, give it a chance for the first ten minutes and see what you think. In relation to these documentaries, I am now reading The China Study which is referenced often during Forks Over Knives. If you’d like to check this out, it’s available to read via Scribd (click here for a free 2 month trial). Have you seen Forks Over Knives or read The China Study? What do you think about the information you learned? 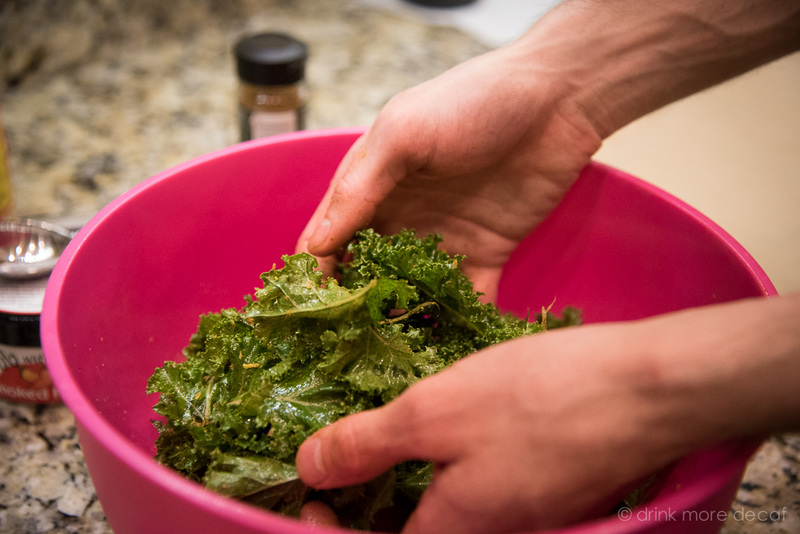 There is a right way to eat Kale, and a wrong way. To clarify, this is the wrong way. Raw. Boring. Bitter. You can sometimes hide Kale in a smoothie, but you’ve got to be careful about how you do it. Less is more. For the record, I can barely tolerate Kale when eating it the wrong way. 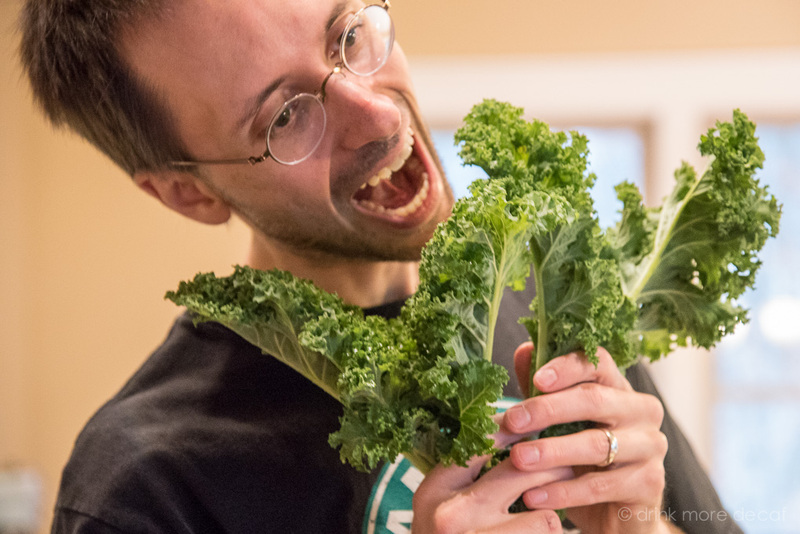 However, there is a right way to eat Kale, and when done properly, is fantastic! Here is the right way to eat Kale. 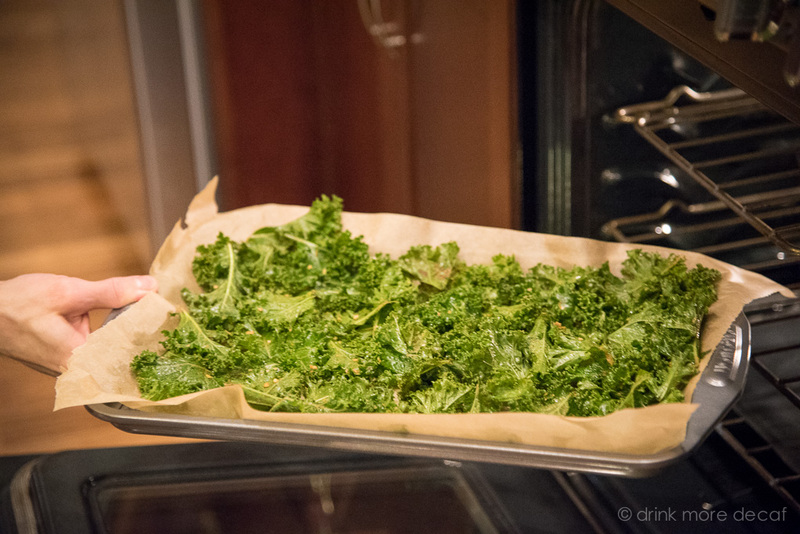 You make Kale Chips! 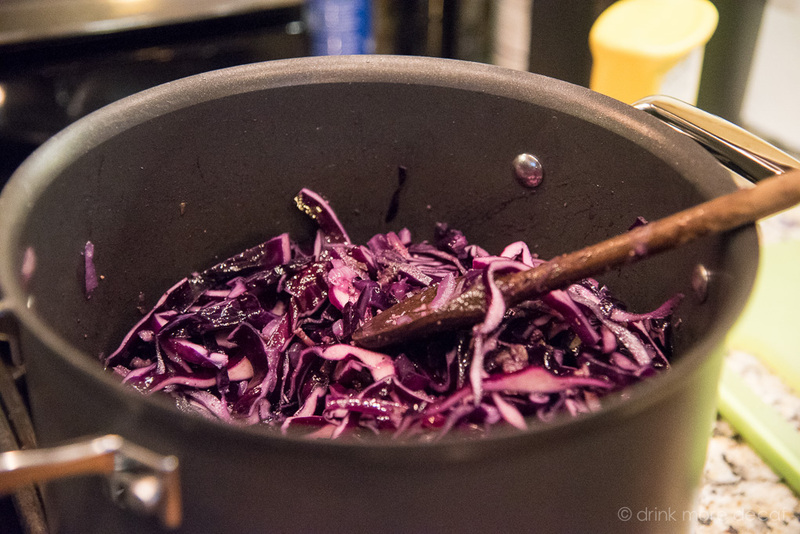 If you’ve struggled with how to cook cabbage, that’s because you haven’t found the right recipe yet! Using the ingredients above, then follow the instructions here. 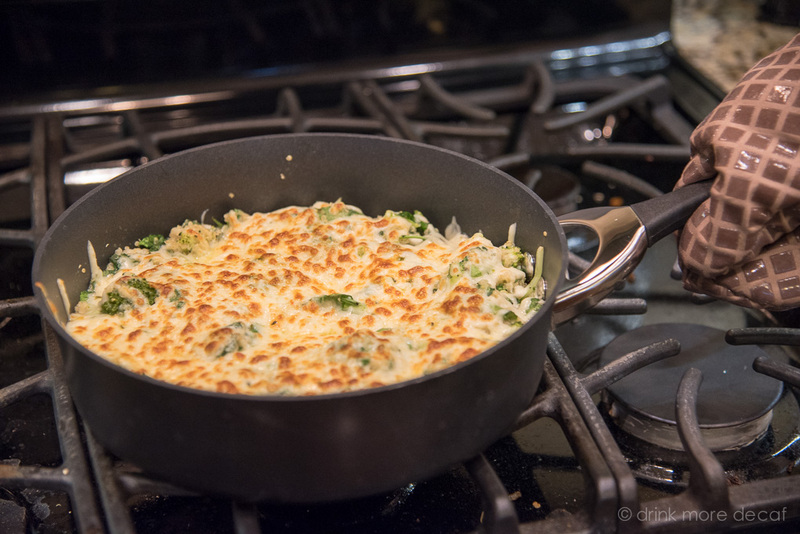 It smells fantastic while it’s cooking, so you’re going to want to have some the night you cook it, but it gets better when you reheat it in the oven, so be sure to save some for leftovers! 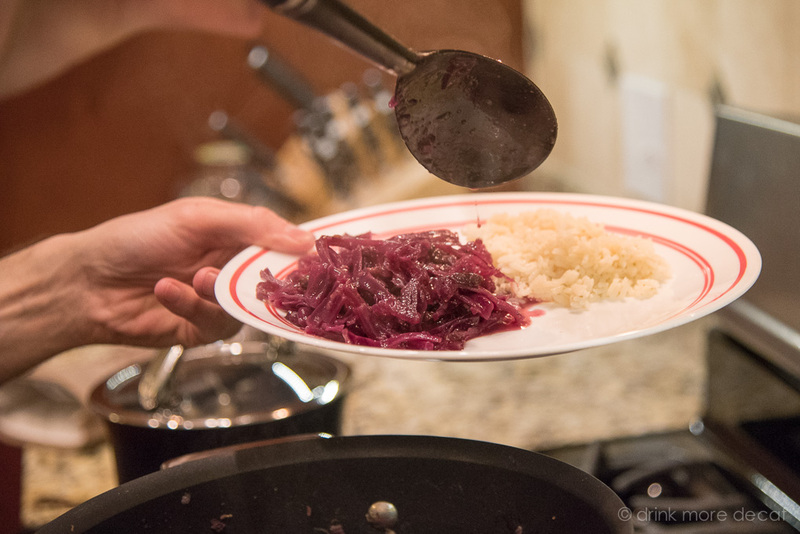 Dave serves the cabbage with rice. However, he doesn’t just make rice, he makes yummy rice. And with that, dinner is done! After watching Fat, Sick and Nearly Dead yesterday, juicing today was pretty much a given. That, and today is the day we receive our amazing box of locally grown organic fruit and veggies from Mother Earth Produce. As soon as the box arrived, we got ready to juice.